It is convenient to use implant but it is not body friendly since it is foreign body. 02.Aesthetic and functional aspect must be considered. 03.Most important part of rhinoplasty is nasal tip and subnasal point. Dorsum augmentation just needs to be good enough to match profile of face. Nasal tip is more important than nasal dorsum. 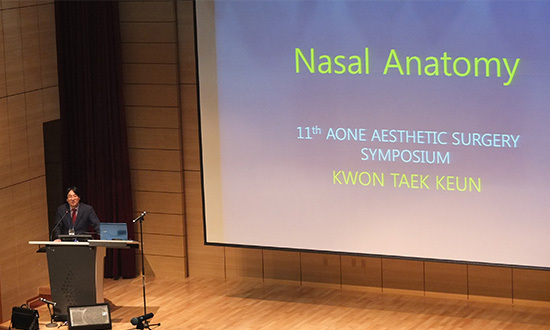 04.Rhinoplasty only can make harsh or strong impression when brows are saggy..
06.Aone leads rhinoplasty industry by Aesthetic surgery symposium every year.